In April, EYC launched a Social Work program to formalize and expand work to support the many students struggling with challenges at home that negatively impact their ability to learn, hindering them from reaching their full potential and transcending the cycle of poverty. 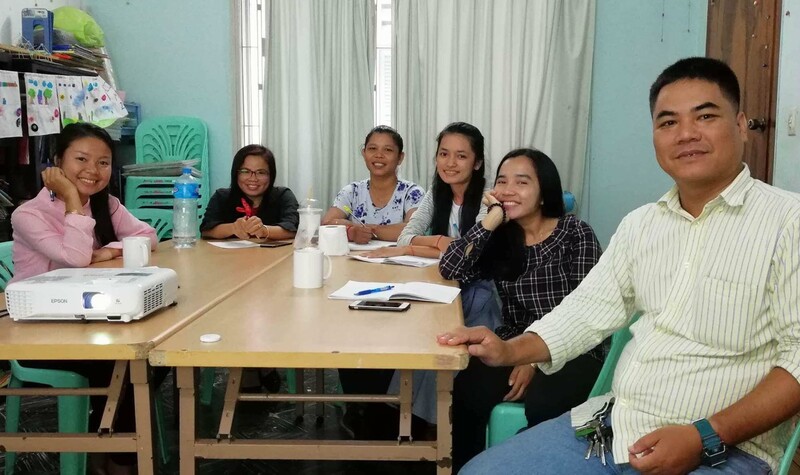 Between April andJune, EYC’s social work staff (pictured below) performed outreach with 99 students who had either dropped out of EYC, were at risk of dropping out, or were facing circumstances undermining their ability to pursue their education. Common issues faced by these at-risk students included: difficult living conditions; issues within the home/family; needing to stay home to care for relatives or younger siblings; needing to go to work to help support the family; conflicts with Khmer school schedules; lack of understanding of the importance of education; and fear regarding the environment around the schools – proximity of drugs, gambling, etc. Once the teachers and school managers identify a student as being at-risk, the school’s social work staff member works directly with the student and family to identify underlying issues. One-on-one counseling support, regular home visits to asses the family situation, and a plan to re-engage the students in their learning are some of the activities conducted by the social work staff. The vast majority of families and students involved have been appreciative of the intervention, education, and support provided through this program.